We have recently been working on a new potentiostat. The Rodeostat (initally referred to as a potentiostat shield) is an open source potentiostat for performing electrochemical measurements which is designed to work with the teensy 3.2 development board. The Rodeostat is easily programmed with the popular Arduino IDE (Teensyduino) which enables users to expand the design as it is easily hackable with popular, well-documented tools. Multiple voltage and current ranges making it a very flexible instrument. Below is an image of a prototype (Teensy not shown). 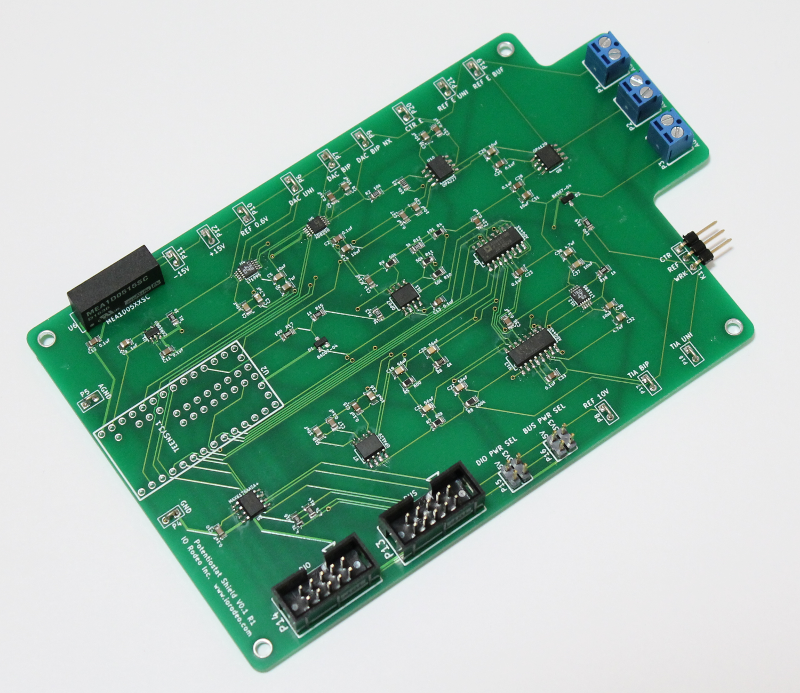 Designed as a shield for teensy 3.2 development board. Can be programmed over USB using the Arduino IDE (teensyduino). API for control over USB/Serial using messages in JSON. Easy to extend enabling users to add custom tests. Hardware design files, firmware and software are available in the online repository here: https://bitbucket.org/iorodeo/potentiostat. (updated) Potentiostat shields are now available in our Online Store.